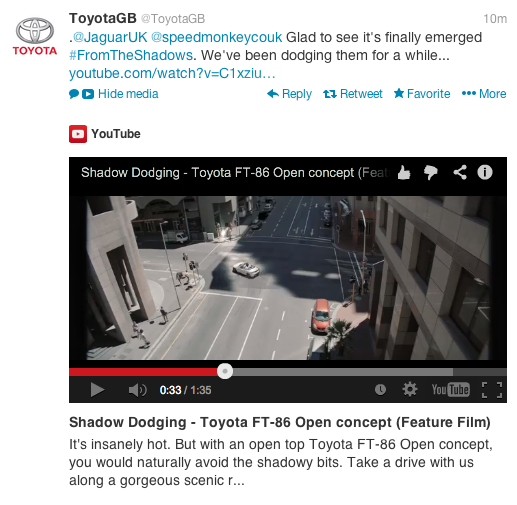 It all started with an innocuous tweet from @JaguarUK. 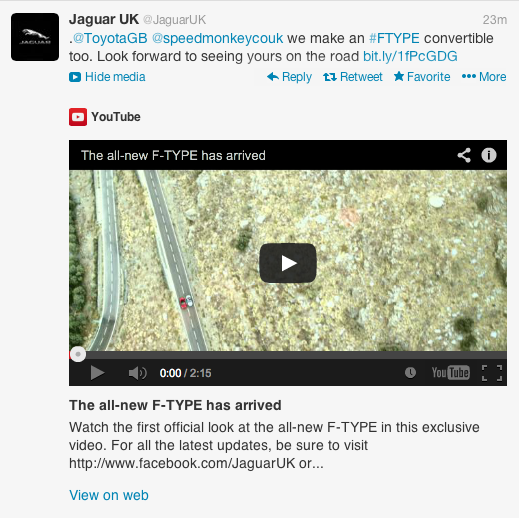 A marketing message with an Instagram video showing off their gorgeous new F-Type R Coupe. 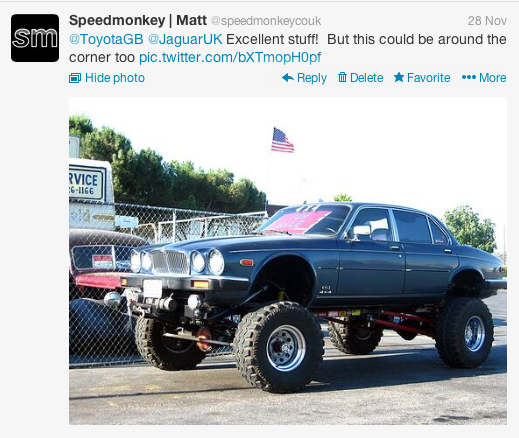 And after thinking about it came back with another tweet. This time rising above the argument. 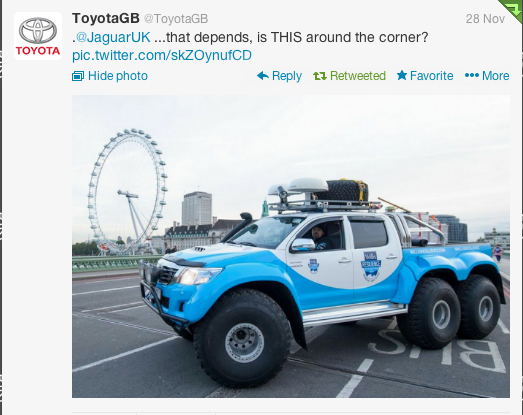 So, on points Toyota would have won but Jaguar's knockout blow might have won it for them. Congrats to both teams for a decent battle. 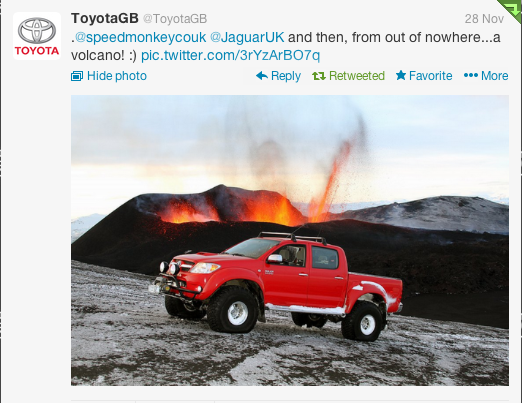 Here are some of the tweets embedded so you can join in.